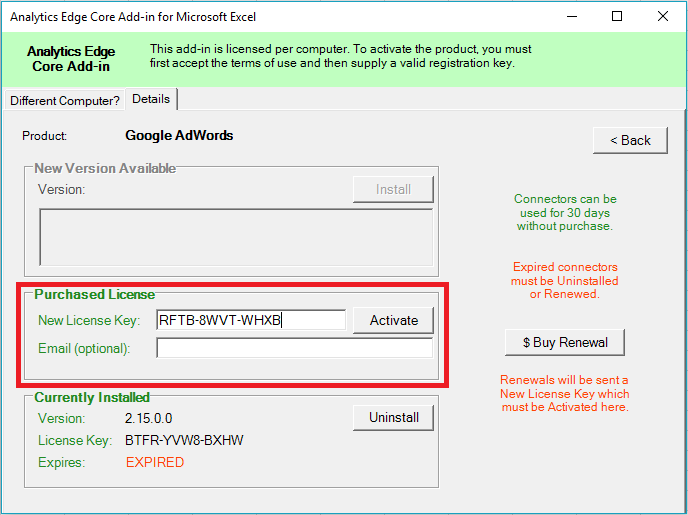 To renew an Add-in or Connector license nearing its expiry, simply purchase a new license key for that product at any time before or after the previous license expires. 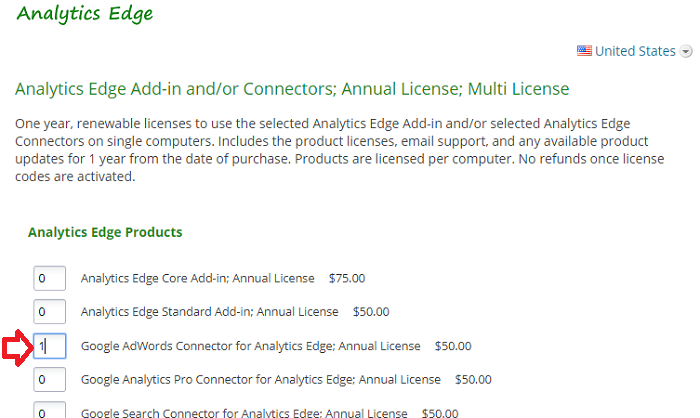 To renew an add-in or connector license, open the License wizard on the ribbon bar (the image may vary depending on the status of your licenses — e.g. “License 7 Days”, or “License EXPIRED”). Click on the entry for one of the products to be renewed. Click on the $Buy Renewal button. A web browser will open to the purchase page. If it does not open automatically, go here. Enter the number of licenses for each product to be renewed, and complete the purchase process. New license keys will be sent to you via email after payment is completed. Enter the new License Key in the space provided and click Activate. 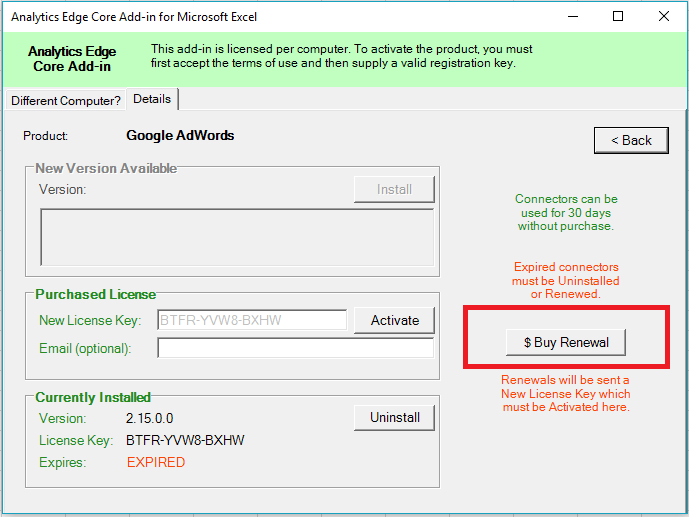 A popup will notify you that the license was activated and show the new expiry date. Repeat for any other new license keys you have purchased. You might need restart Excel to reload the new licenses, especially if you have multiple workbooks open at the time.